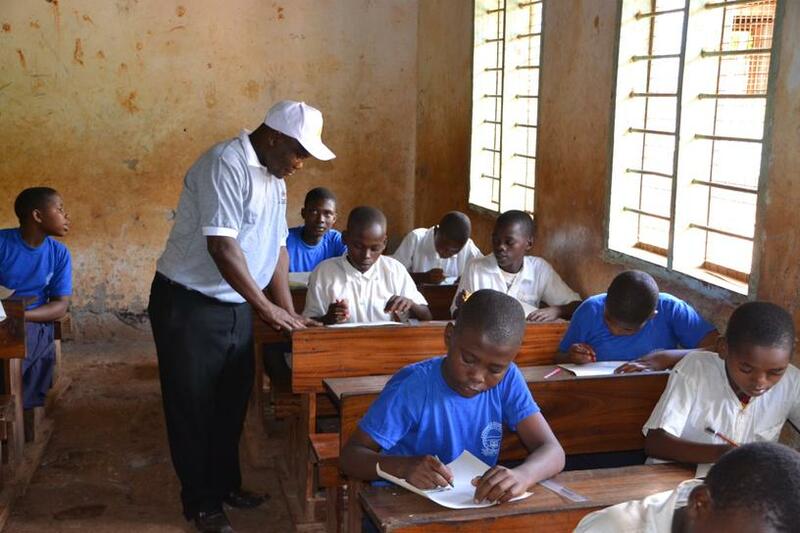 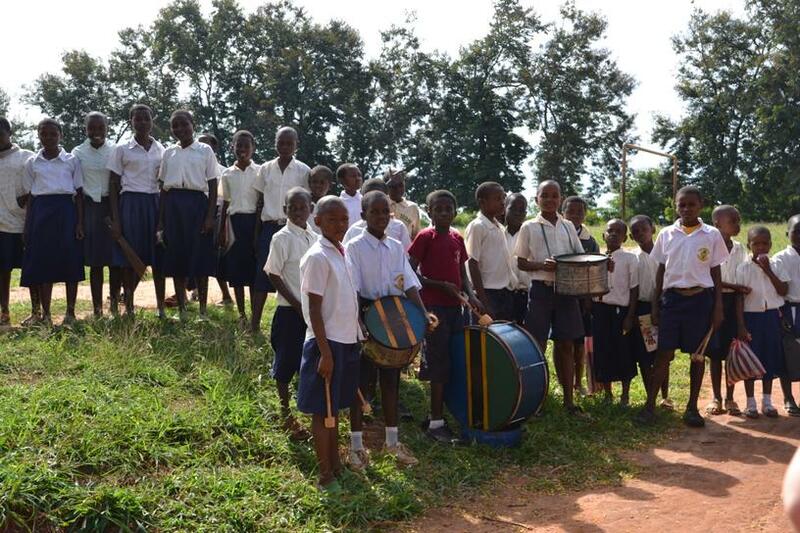 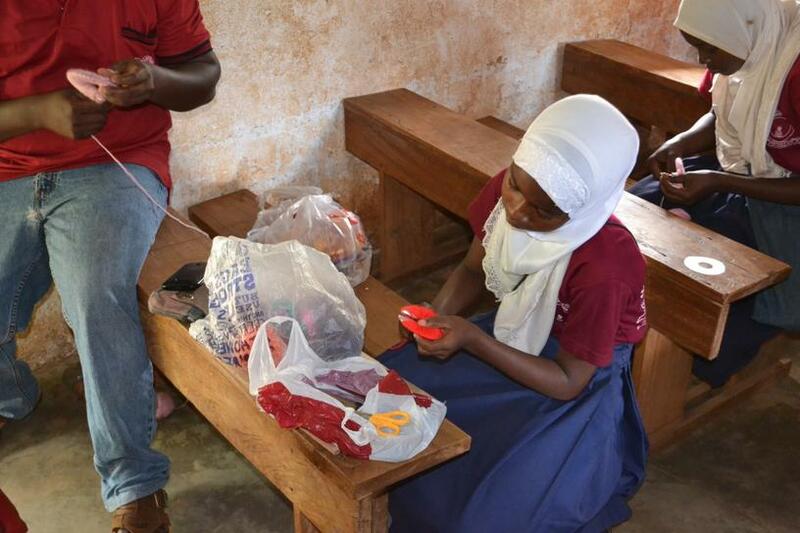 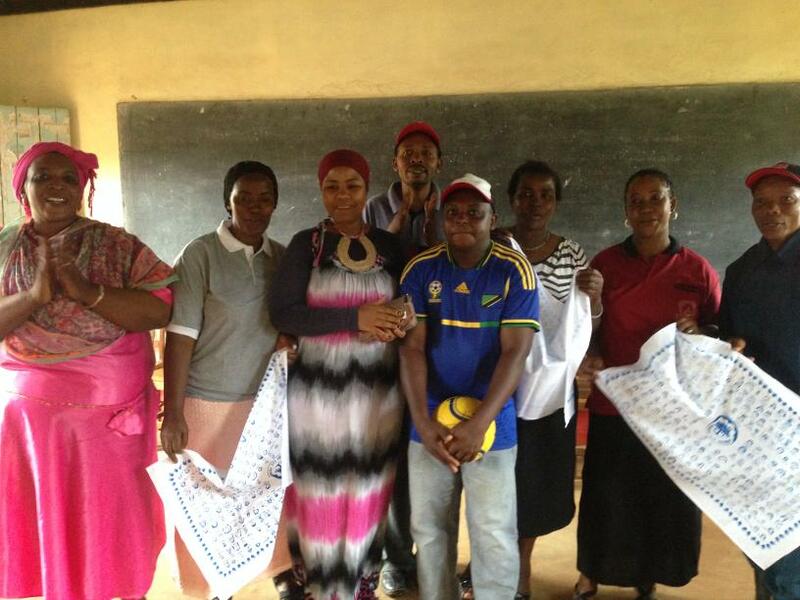 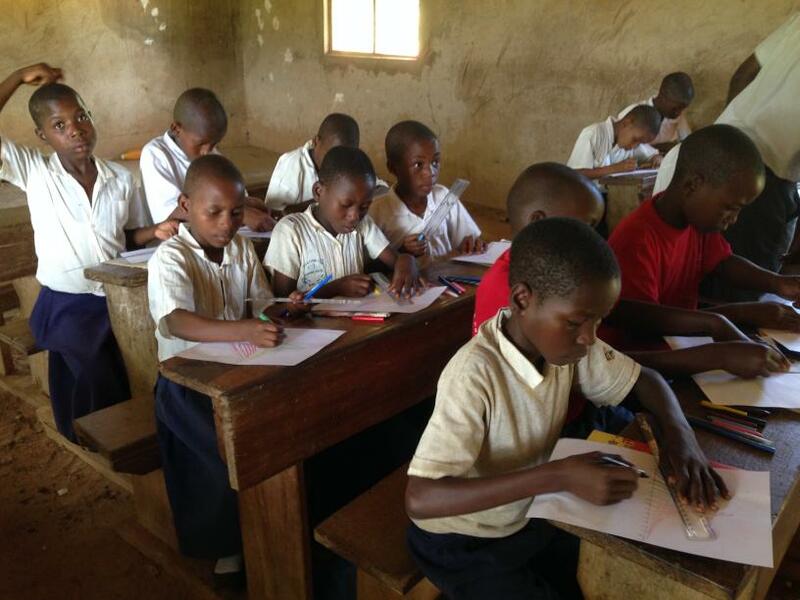 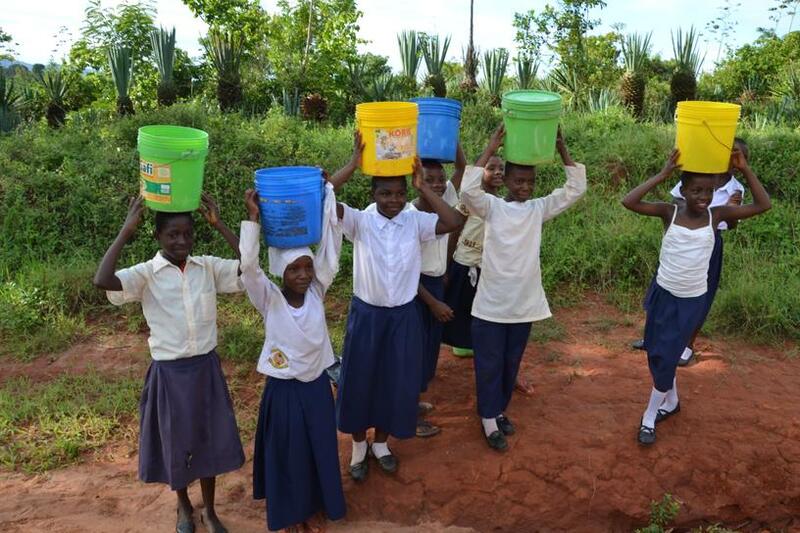 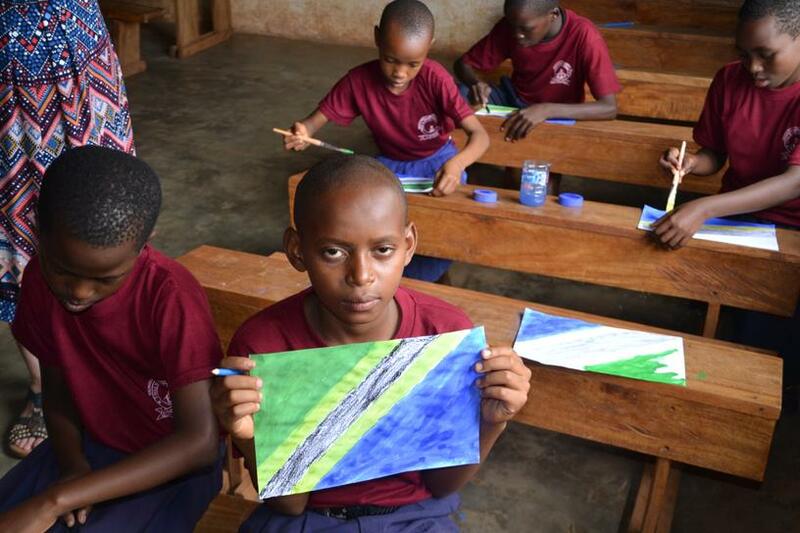 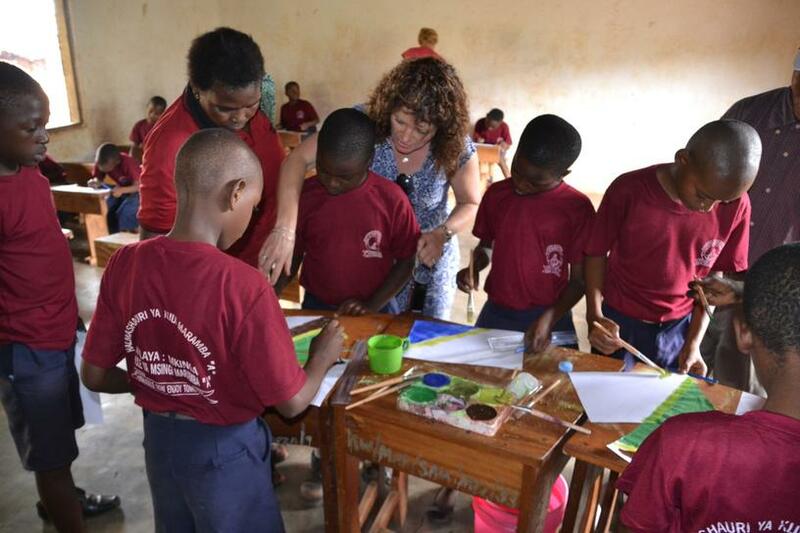 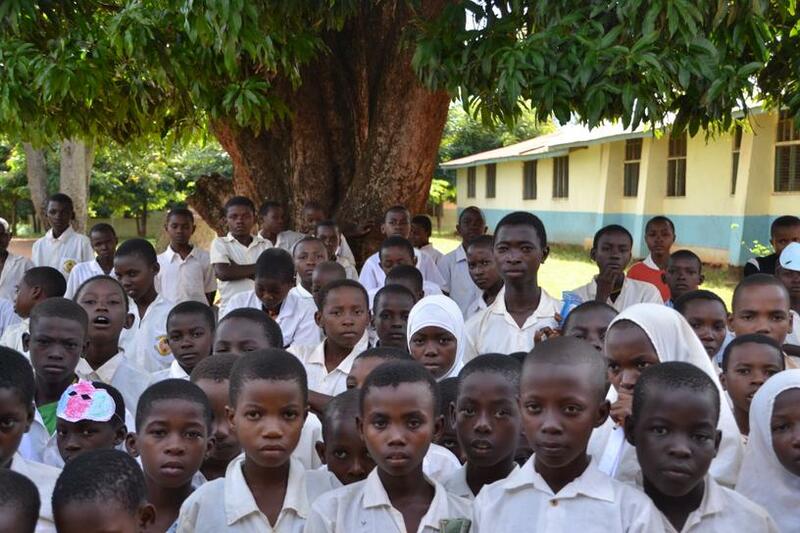 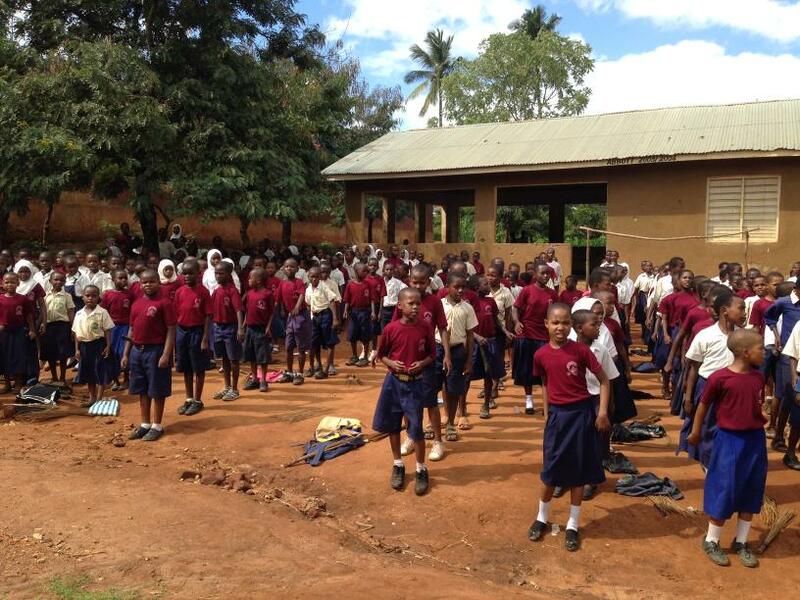 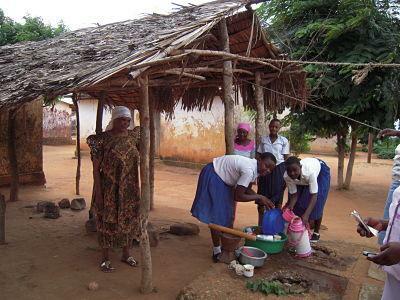 Our school links with Maramba ‘A’ school, near Tanga in Tanzania. 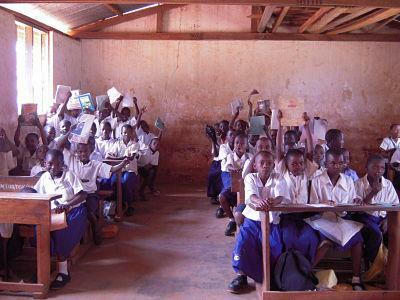 There are about 600 children in the school and 19 teachers. 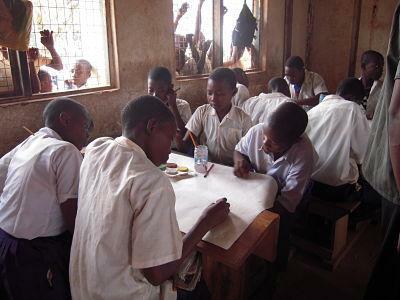 Our partnership began in 2009 when we were lucky enough to obtain a Reciprocal Visit Grant from the British Council. 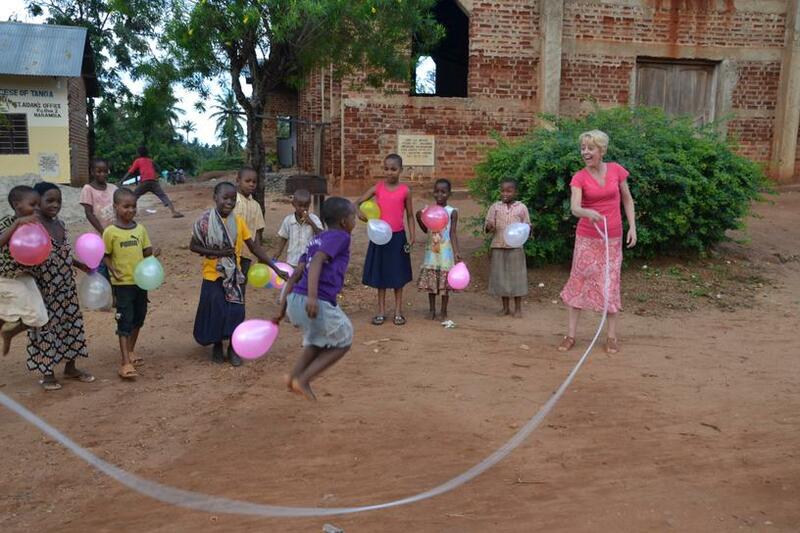 This resulted in staff from Tenbury visiting Maramba and spending a very happy week teaching and working with the children and staff in both Maramba and Lugongo schools. 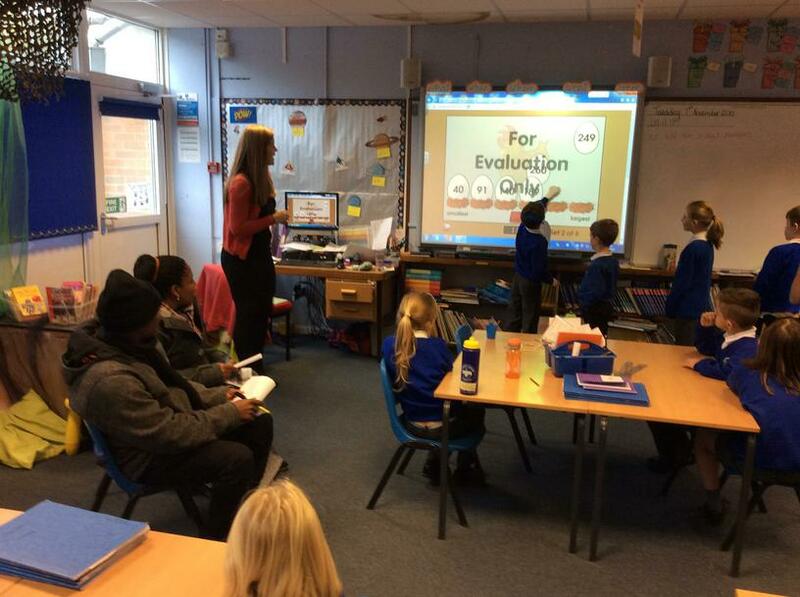 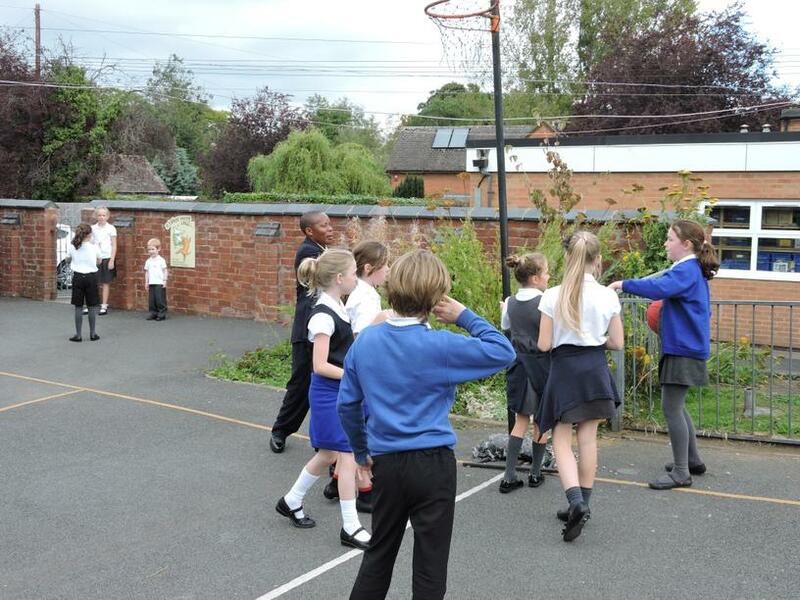 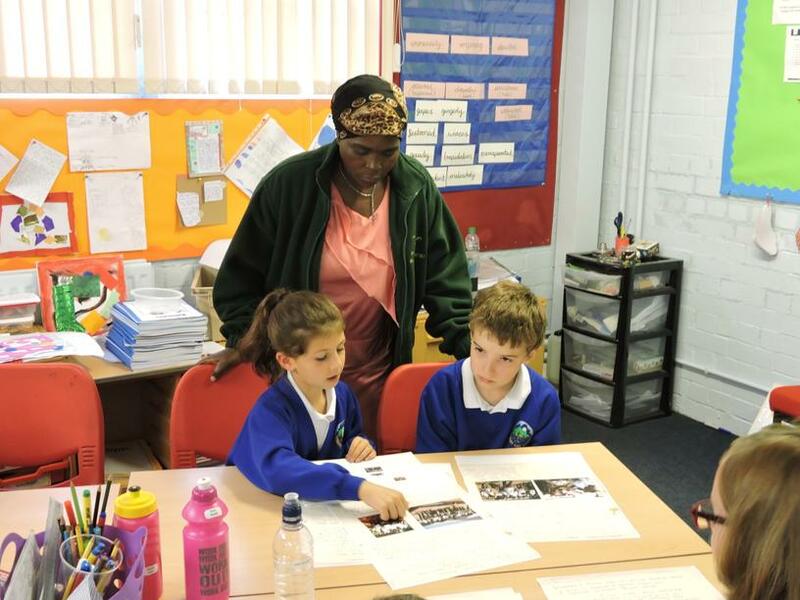 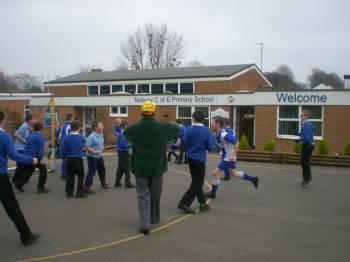 Also in that first year, two teachers from Maramba visited us at Tenbury Primary. 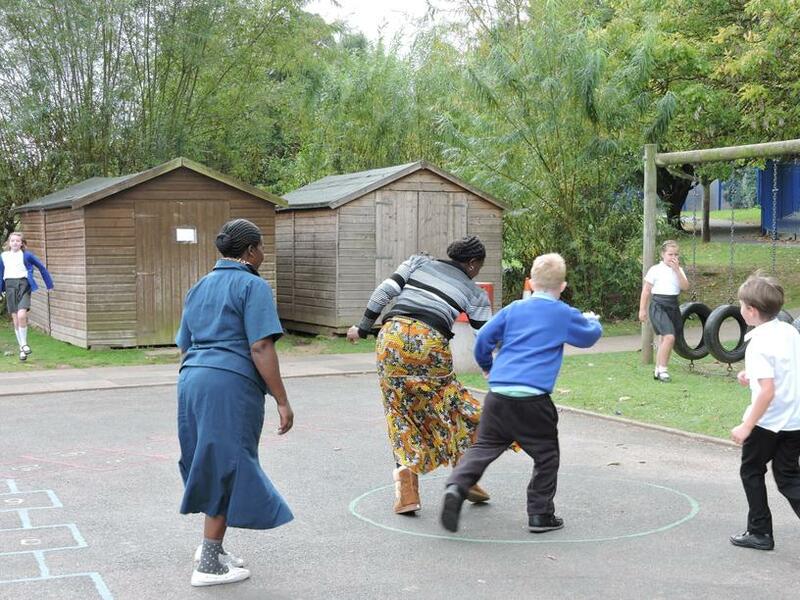 We learnt a lot from working with them in our classrooms and had good fun finding out about life in Tanzania. 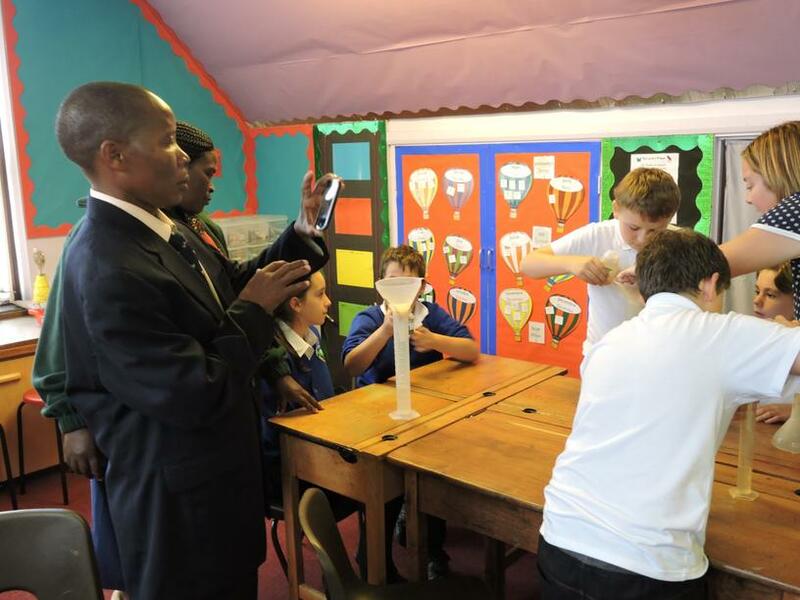 Since 2009 our partnership has grown from strength to strength and in 2011 and 2012 further exchange visits took place, as we were successful in obtaining a Global Curriculum Project Grant from the British Council. 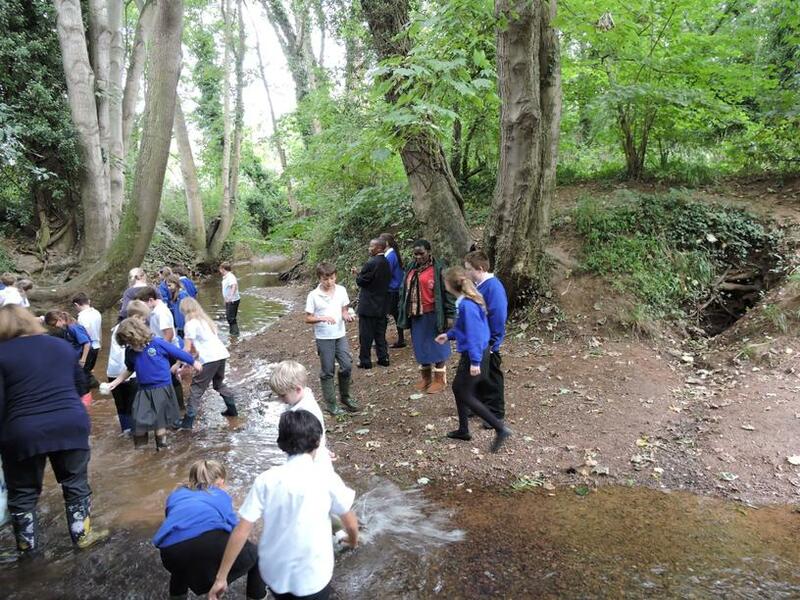 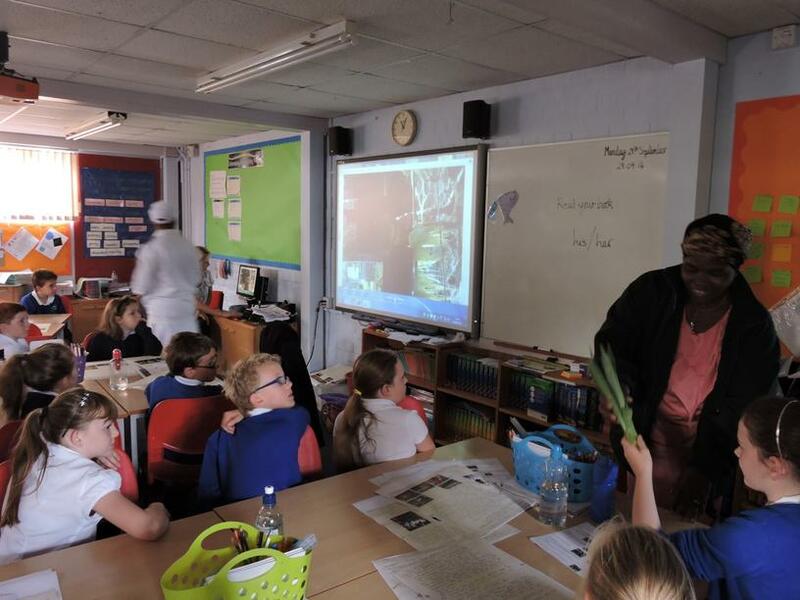 Our joint project was about Food and Farming in our local areas, comparing and contrasting Maramba and Tenbury. 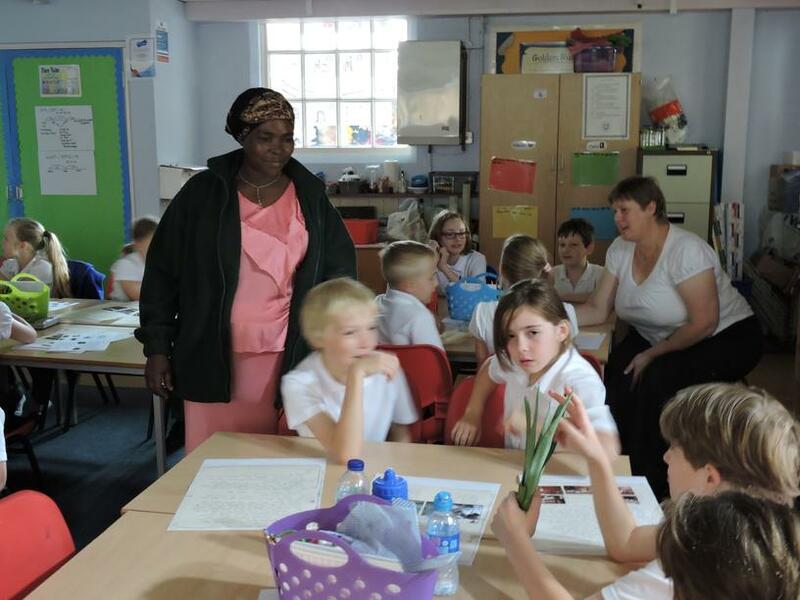 Our children learnt a lot from being able to ask first-hand questions about schools, ways of life and particularly food in Tanzania. 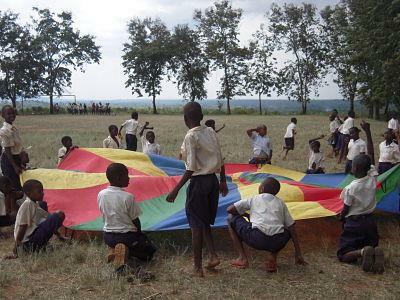 We all started to learn quite a lot of Swahili and became very good at singing “Tanzania, Tanzania,” the national song. 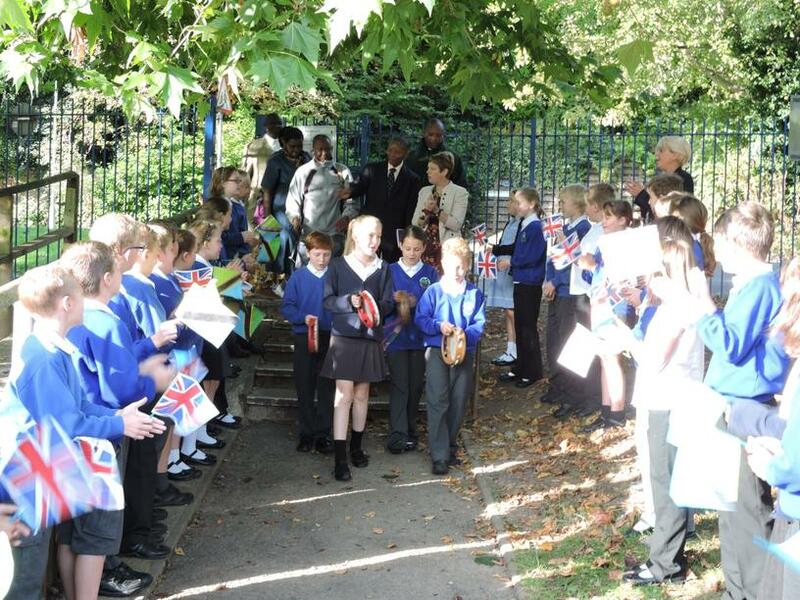 Our partnerships and friendships have continued in 2014 through the British Council’s Connecting Classrooms Grant and further visits took place in May and September. 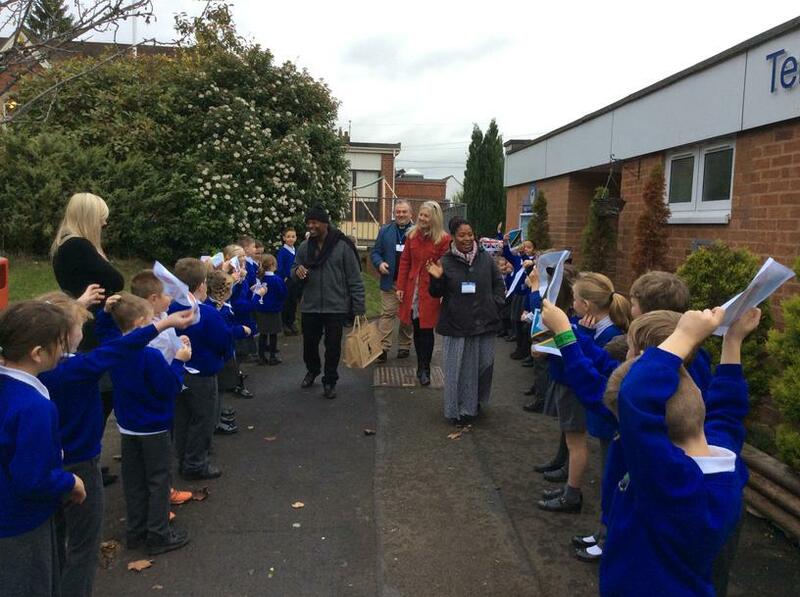 For this visit our children wrote travel leaflets all about Tenbury and everybody in the school contributed to a large book about Celebrations. 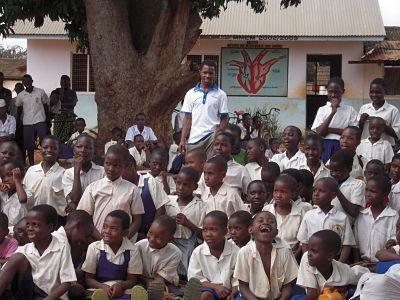 We shared this information with the children in Maramba and when their teachers visited us, they brought similar information to share with our pupils. 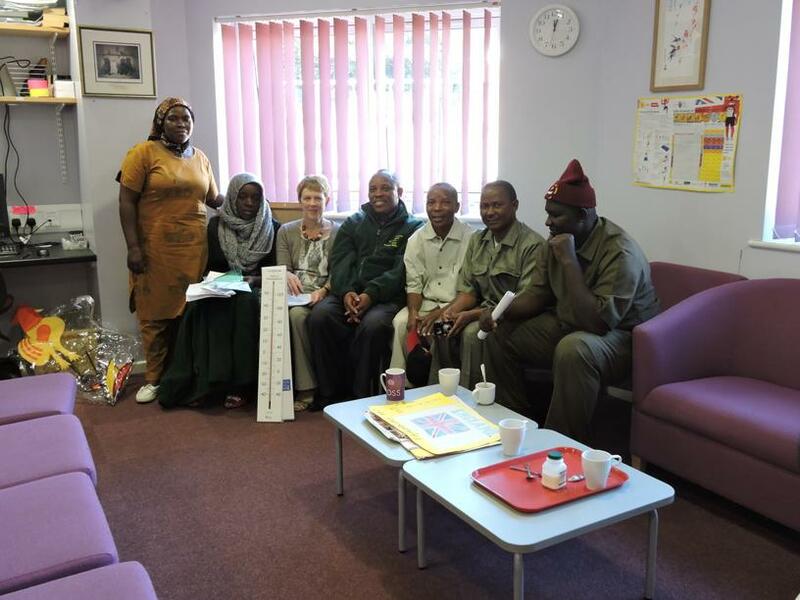 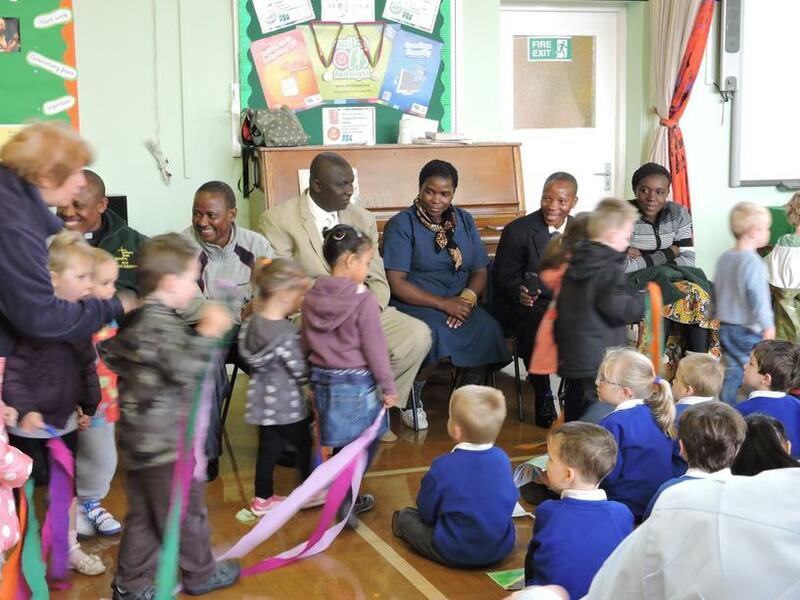 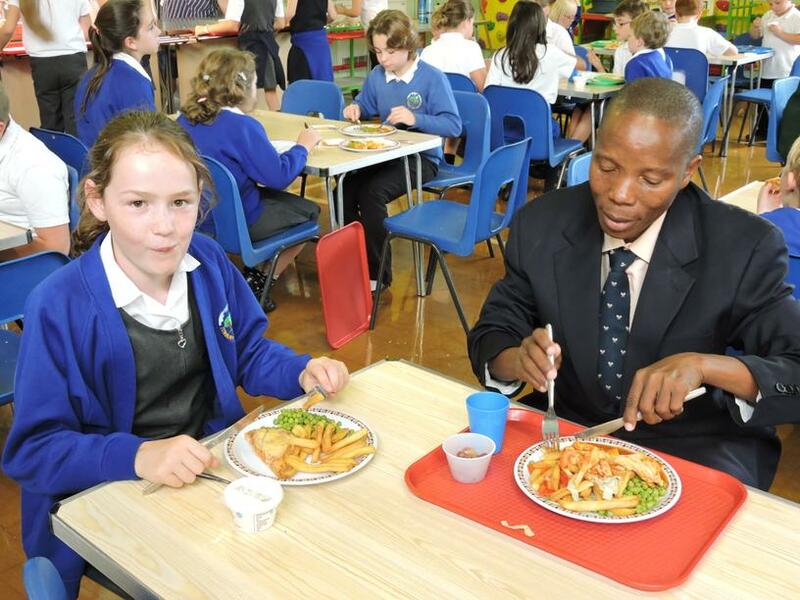 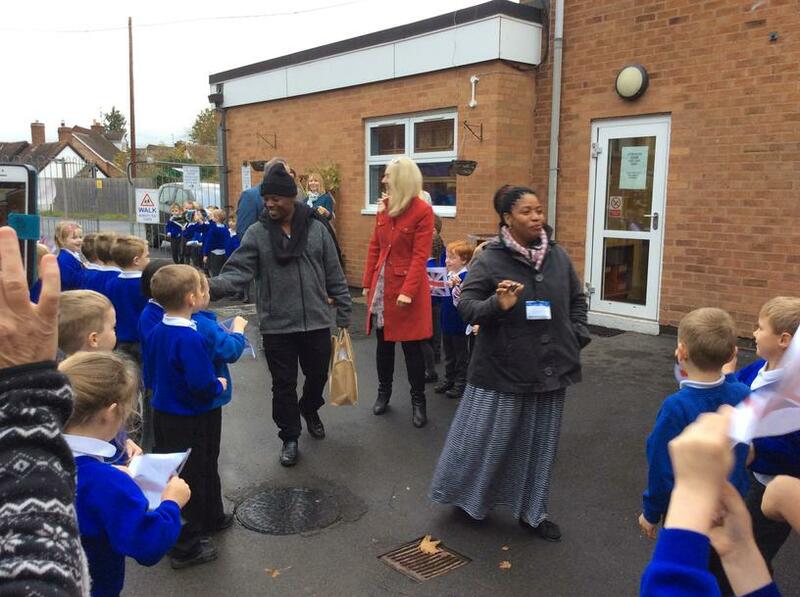 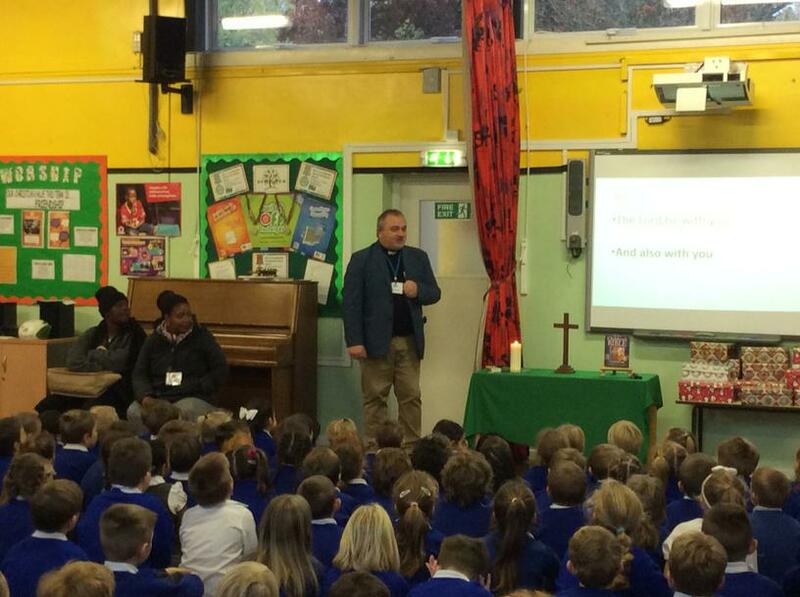 Two teachers from Tanzania - George and Geldat- then visited Tenbury again in October 2017. 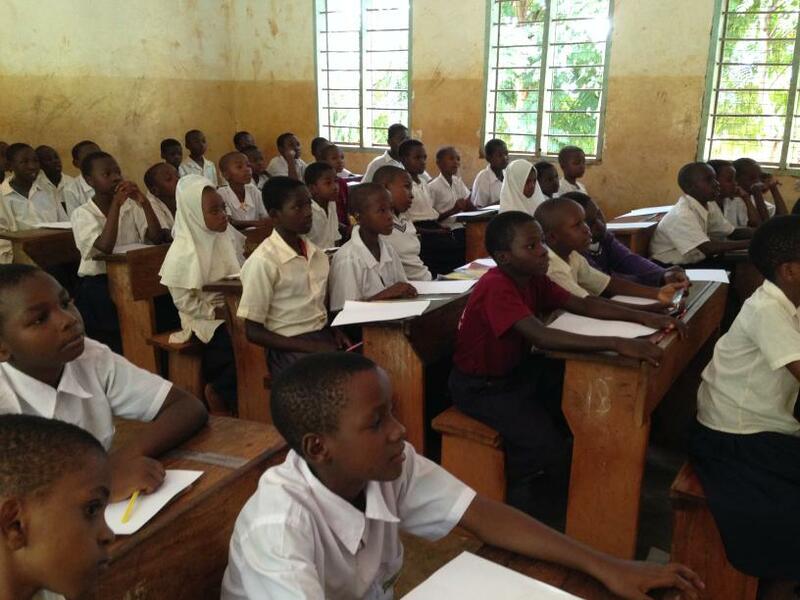 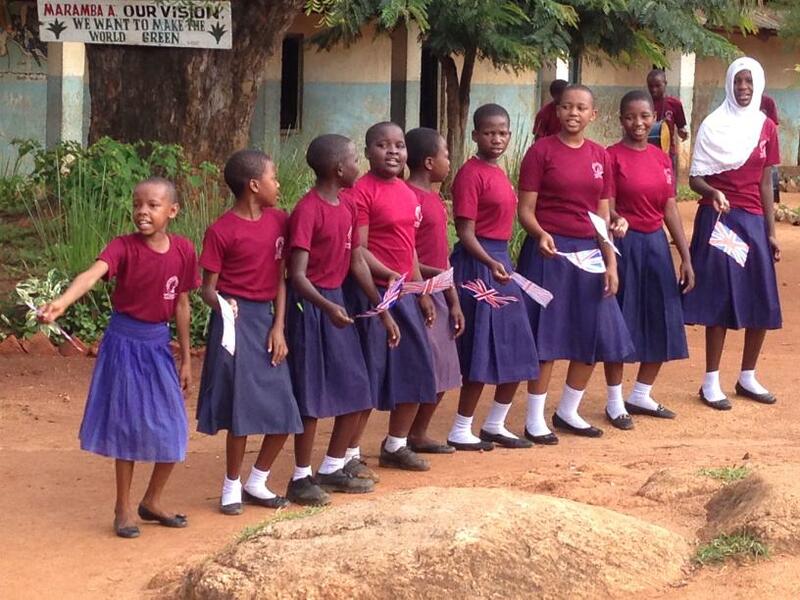 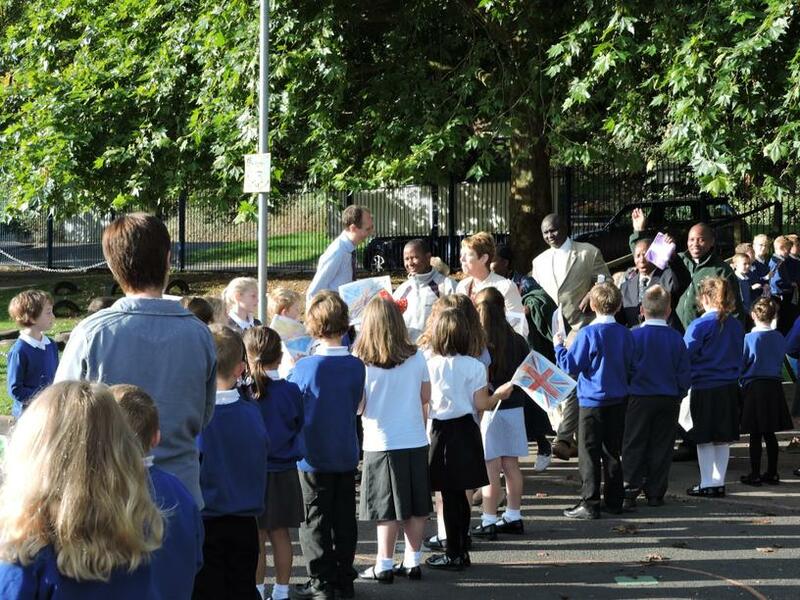 (You will see some pictures of them on our home page, with our pupils waving both British and Tanzanian flags!) 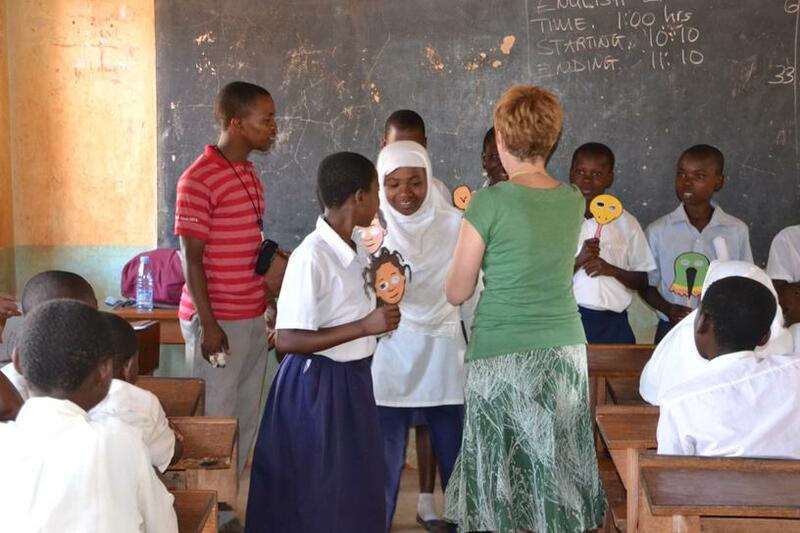 This exchanging of information and pictures, together with the friendships that have been formed and the unique experience of Tanzanian teachers working in our classrooms, all contribute significantly towards enriching our pupils’ education, their global understanding and awareness of the world around them. 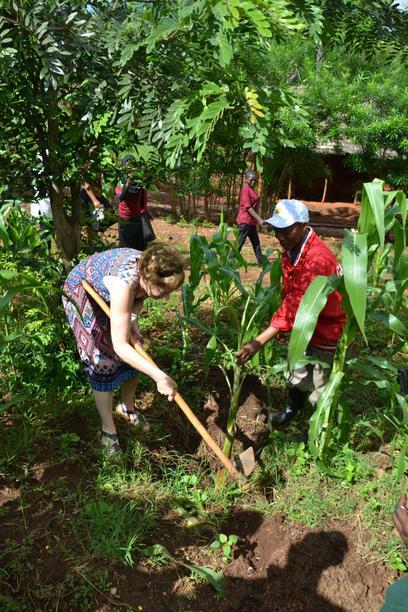 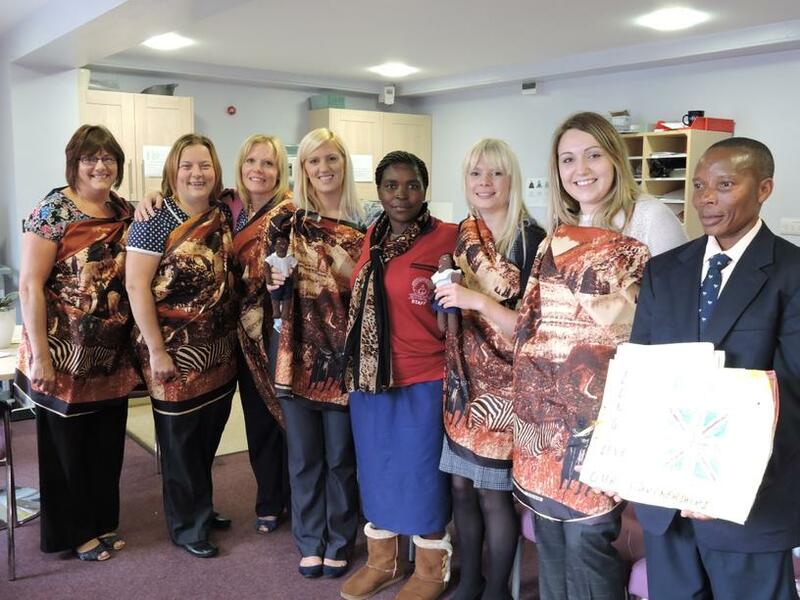 Staff from Tenbury Visit Maramba 2014.